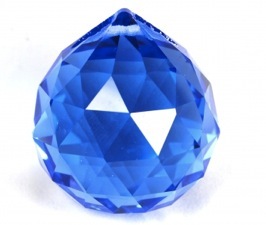 Colored crystals are useful as an ornament usually hung according to their color in the corresponding Gua. For example the purple crystals work well in the Wealth and Prosperity Gua – because it is purple and the owner likes it. Not because it will direct energy. Pink for the Love, Green for Health and so on. The colored ones can be in any shape or size and hung anywhere you want, I only want to point out they do not have the same qualities as the clear round crystals. My, oh my how this Feng Shui really works!!! The changes that I have experienced in the last few months have been positive and interesting. This New Year has been a strong start to something amazing I can just feel it.